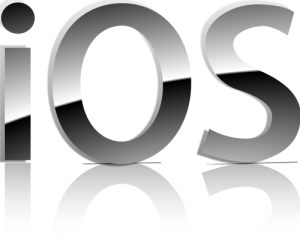 Our goal is to provide an introduction to iOS App development. By the end of the workshop you should have created a full sample app. The morning will be lecture-based and cover the basics while the afternoon will be hands-on and lab-style. The workshop will be lead by Josh Shaffer an iOS Software Engineer. Basics of Objective-C: explaining the different classes and how they work together, syntax, etc. Structuring code: We will talk about the template app, tying external data into an App (e.g., Twitter feed) and how to pull it all together. Clarification: This workshop is targeted at those just getting started with iOS development. Please follow the registration link above to submit your name for the workshop. We have limited space and will be inviting students based on background and availability. Experience with a high level object-oriented programming language like C, Java, or Objective-C. While web programming languages such as PHP and Python will give you a background, our instructor highly recommends experience with a high-level programming language to better understand the concepts in the Objective-C language you’ll be using for iOS development. Bring your own Mac laptop with the latest version of XCode installed, available from the Mac App Store. We’ll have iMacs configured for you to use during the class, but you can also bring your own laptop. Bring your own iOS devices. We’ll have a couple iOS devices (iPads) for you to use for testing during the workshop. For more information on the iOS Workshop, please contact Brandon Muramatsu at mura -at- mit -dot- edu.